Underwriters Laboratories has just handed over to Samsung another plaque to hang on the wall. This one is for the screen on the Samsung Galaxy S4. In case you aren't aware of the actual specs of the display on the device, it is a 4.99 inch Super AMOLED panel with resolution of 1080 x 1920 which we all lovingly refer to as FHD (Full High Definition). According to UL, the screen on the Samsung Galaxy S4 offers one of the best color reproductions in the mobile industry with the broadest color gamut of up to 97% for the Adobe RGB color space. The screen is said to have one of the best contrast ratios and can be better seen under bright sunlight than the display on many of the phone's rivals. Before the Samsung Galaxy S4 hangs up its charger, it probably will have a whole room full of plaques for awards handed out to the phone. 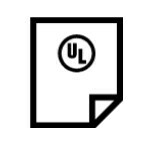 Earlier this year, UL gave a platinum certification to the same handset for its impact on the environment including boxing materials. And take a look at the picture below. Isn't that unnamed Samsung executive a proud dad! 97%?? Yet many claim that the S4 screen can't produce natural colors? Good job Samsung. I also have to commend you for the deep blacks (blacker than that of the S3's) your screen can produce. Colors really pop! the screen itself is weak. i just broke mine from 2 feet drop,with the case on. That's probably not the screen. If your phone still works, that's the Gorilla Glass on top of the screen. Excellent colour reproduction while retaining AMOLED pros; best contrast ratio, real black, higher refresh rate, low light reflectance etc..
People are inherently flawed. It makes sense though, if you spend your entire life looking at LCD's from monitors to TVs to phones, that will begin to look natural to you, even if it really isn't. You see something different and all of a sudden it looks fake. I haven't owned a 1080p phone...can anybody here give an honest opinion as to whether or not they CAN distinguish a 300ppi (approx 5 inch 720p) vs a FHD 400++ ppi when viewed from 12-15 inches away from the face? Is there a discernable difference, at all? Generally, when viewed from 12-15in. distance, it's really hard to tell the difference. But it sometimes depends on what you are viewing, whether it is small texts or pictures with so much details. It also depends on the subpixel arrangements of the screen. The biggest difference I really noticed is color reproduction. Take S III and S4 as example. Both screen uses PenTile matrix but you can really tell which screen is better in just a glance. S4's screen is brighter and its whites are whiter. I don't know if it's just the calibration. When viewed 5 inches away, you will still somehow discern pixels with S3's screen because of its subpixel arrangement, which is not the case with S4's display. I had s3 and one x, now have s4. Pentile matrix on s3 under heavy scrutiny showed some graininess. One x cant see individual pixels however from under 6inch the s4 definately is sharper. From 15inches away cant tell the difference. It's pretty noticeable. It just looks a lot nicer. Somehow, I'm not a fan of SAMOLEDs/deep blacks...gray-ish areas can become exaggerated at times...plus websites that are supposed to be ''paper white'' aren't rendered as such. What? No awards for 640p screens? Tim Cook will not be happy. i agree..nothing can compete the display of gs4..kudos to sammy!! What's with people. Over 300 PPI doesn't mean you don't see pixels, you just don't see them from a certain distance on the screen. If you put your eyes close enough to the display on a 5" 1080p screen, and you focus them, you'll see pixels on that, too. Sorry, but you are wrong. I am looking at the screen of my S4 now, and I have no way of telling individual pixels apart from each other. No way. All the best Samsung. Let the competitors die of jealousy. Congrats Samsung! !! ;-) But this time I chose hTc One than the sgs4, why? 'B'coz I already had a gnote 2. So much for rabid HTC One fans thinking they had the best 1080p display, merely based on the laurels that it was an LCD. OLED is at a point where it's truly surpassing LCD now. The only thing they need to improve on is energy efficiency with higher grades of brightness. Great job Samsung. 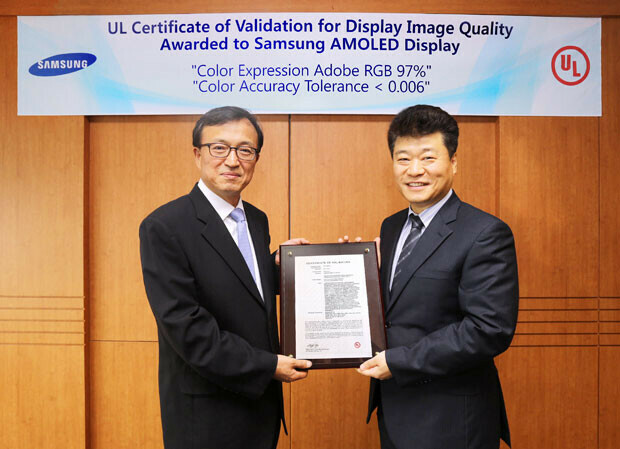 They are continuously improving amoled displays to make them better. Being an owner of the galaxy s, s2, s3, note, note 2, and using the s4 I can say amoled displays have come a long way.